Home » Dragonball Xenoverse 2 » PS4 » Dragon Ball Xenoverse 2 - New Screenshots, Pre-order bonuses and Collectors editions. 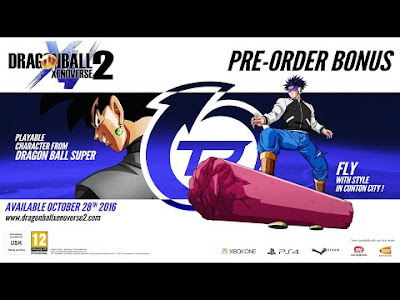 Dragon Ball Xenoverse 2 - New Screenshots, Pre-order bonuses and Collectors editions. 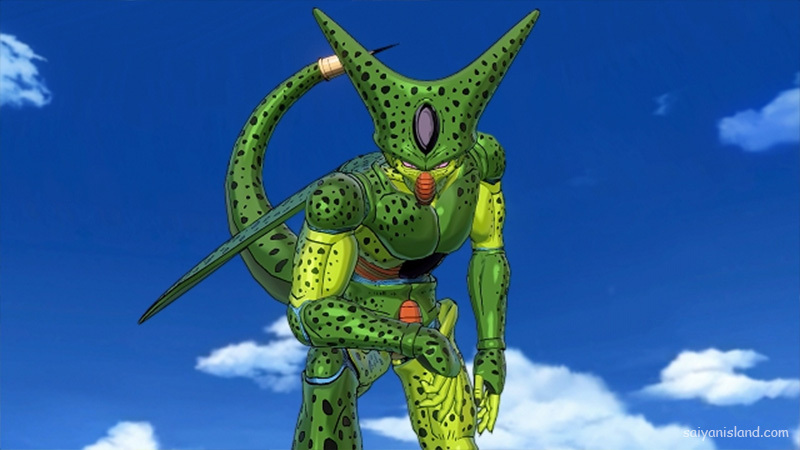 Hey guys, L0rd Dann here to deliver some brand new info on Dragon Ball Xenoverse 2. If you're as interested as I am, keep reading as I reveal more screenshots and pre-order bonus and editions of the game. 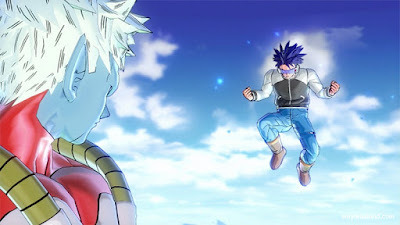 Of note, there will be some spoilers relating to the original Xenoverse title. It's not known if he'll have any sort of power up or form change during battle, but in terms of his move set I imagine he'll have Tien's Solar Flare and everyone and their mum's Kamehameha, but nothing's been revealed on that just yet. Mira (on the left) was all but vaporised in the first game by our time patrolling hero, but is back to wreak havoc once more on the Dragon Ball timeline. Where we see Mira however, it's easy to assume Towa (not pictured) won't be far away. It's not yet clear how he's been restored, but whether it's via regeneration like Cell or Buu, we're sure to find out. 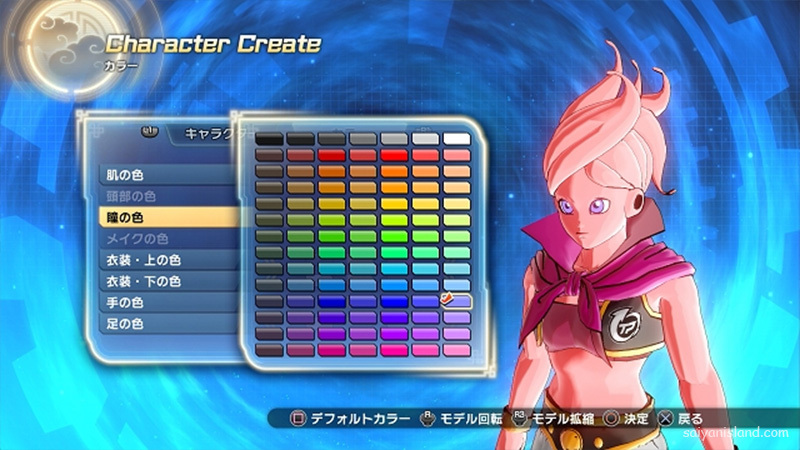 Above we have the female Majin character creation screen. The option highlighted in the screenshot is pupil colour, but the other options available are height, physique, nose, mouth and skin colour, which leads me to believe there'll be more customisation options for other races too. Above, it looks as though Majin Buu has fathered some children. 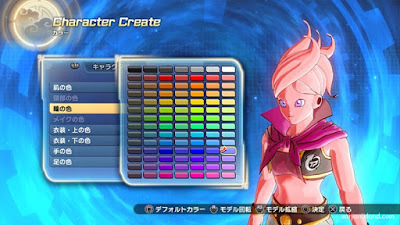 Though that may actually be the case, it has been revealed that there's a side mission for the Majin race where you can collect food to make snacks and create a Majin family. I'm not sure how this will work yet, either through some sort of mating ritual *shudder* or through midnight snack feedings like a Mogwai (from Gremlins) with multiplying Buu's. 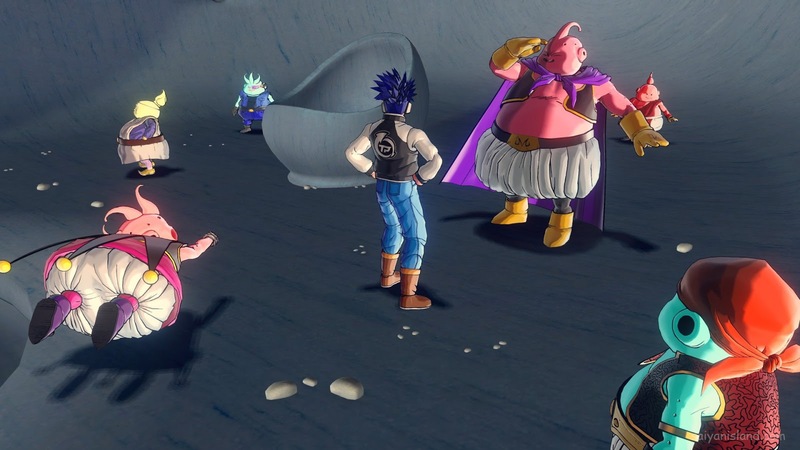 All I know is Majin Buu's biology is not my strong suit, but class specific missions would definitely be welcomed as I feel it'd give us more incentive to try every race. Warning: Potential Dragon Ball Super Spoilers ahead. Yes, that's right! The character shrouded in mystery is going to be playable via pre-ordering: Goku Black! 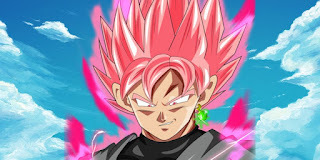 However, that won't be the only means of being able to get him (Unlike Super Saiyan 4 Vegeta in the original, which I'm still bitter about). Players will be able to download him later on, so I guess in this instance all you're really getting are bragging rights to say you had him before fans who didn't pre-order the game. Still, it's better than nothing. There are no plans to include his Super Saiyan Rose form (Pictured below) however and yes that is a real form. Just very little is known about it in the anime. If we're lucky, it is always possible for it to be added later on. Above and taken straight from Dragon Ball Super is early access to Future Trunks (Not to be confused with Xeno Trunks, who was a major supporting character in Xenoverse) with the Deluxe Edition. With this edition, you get the season pass which will net you all future DLCs, including playable characters, new quests, new training masters and master's quests, new stages and multiple new skills, costumes and accessories. The whole bundle in the U.K will retail at £74.99. 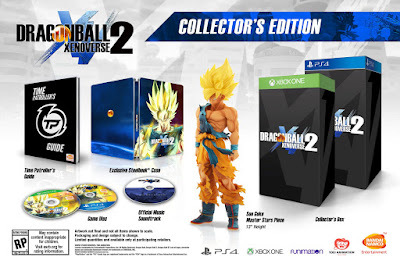 With the Collector's Edition we have the game disc (obviously), an exclusive steelbook case featuring Super Saiyan Goku on the front, a Time Patroller's guide (though the content of this is currently unknown), the official soundtrack and best of all a 34cm tall Super Saiyan Goku statue. As awesome as all this is, it will set you back £139.99. 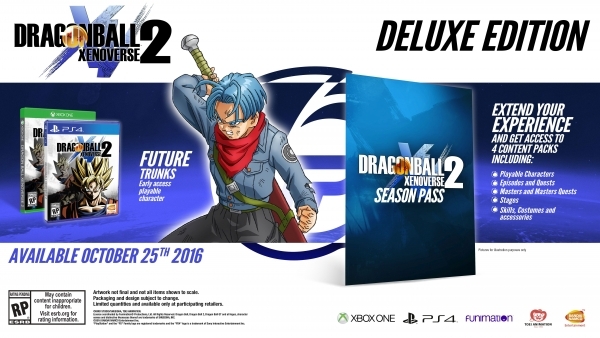 Unfortunately there's been no word as to whether or not this comes with Future Trunks, Goku Black or the season pass, but I'll be sure to update you when further details have been announced. Dragon Ball Xenoverse 2 will release in the UK/EU October 28th, October 25th for North America and November 2nd for Japan.